School Library System - WSWHE BOCES: Welcome Back! Through our 2016-17 survey, it was determined we would use the SLMPE Rubric as our Annual Survey every other year. If you haven’t already completed and submitted, please go tp our LibGuides “Home Page” for the explanatory letter, the signature page, and links to the both the NYSED page and to our Survey Monkey to enter data. Absolute deadline for submission is September 21, 2018! We will be sending a Google form out in late September/early October for any school that wants to participate to get all grade levels and contact information. We will be moving to SUNY Adirondack for our 2019 competition. Detailed information and resources can be found on our LibGuides Battle of the Books and BOTB Resources pages. We will collect information for BEDS and send it to you the last week of September. This will include: # of databases purchased for you through NOVELny and through School Library Services. We will also send the # of eBooks purchased through SLS for all libraries that you have access to as of BEDS date. We will tell you what (general) level they are for; it’s up to you to decide whether or not they pertain to you. You need to add anything you purchase to those numbers. We sent a letter out to all Superintendents and building principals to let them know what the regs are about attending meetings, and to let them know who their rep is. Let me know if there are any issues. All meeting dates and MLP links are on the LibGuides Home Page except for our regional meeting with Donalyn Miller. That information will be posted in soon. 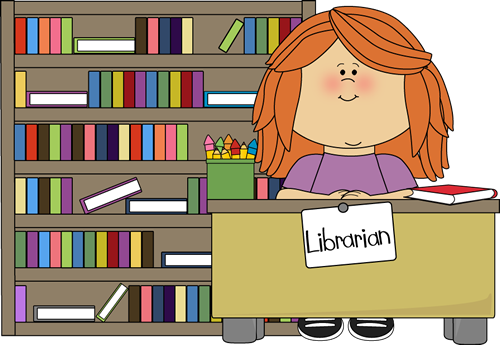 We will offer to send librarians to conferences (NYLA, NYLA-SSL and Syracuse Leadership). In order to hold attendees more accountable, we will be asking attendees to apply and present on what they learn. Details will be sent upon request. We will once again be offering “Cool Tools for Schools” for 2018-2019. This is an online, self-paced series to familiarize yourself with technology tools to use in the library and with your teachers/students. Cool Tools for Schools is an open source that is available for you to use at all times, whether or not you want to enroll for CTLE credit. I encourage you to look at it – there are some GREAT tools and resources! That’s my “go-to” whenever I’m looking for information on a tech product to learn more and make a decision about what to use. The DAP (Direct Access Program) is for High School students who are enrolled in advanced studies such as IB, Advanced Placement, etc. to access academic and special libraries to check out materials (in person). If you are interested in more information or will need cards, let us know. Amy is in the process of getting all of your database information out to you. PLEASE check to make sure everything is correct, and that all of your databases work properly!! PLEASE check with your Tech depts. to see if they made any changes over the summer that you may not be aware of (IP addresses, filters) that could impact database access. Send any changes to Amy who will make corrections in our Master Database file, and inform vendors. If you are on OPALS, we have been adding and deleting databases for each school as needed for your 24/7 sign-in. Note: Elementary libraries have the option to a list with icons; all others see the lists. If you need more information, contact Library Services. We are really excited about some things we are offering this year! Our General Membership meeting will be October 16 and will have a LOT of information as always. All are welcome, but this counts as a Communications Coordinators meeting and all CCs are expected to be there. Our Regional meeting is November 28 to be held at Capital Region BOCES and will feature Donalyn Miller who will be discussing her book Reading in the Wild. More information will be coming soon. All are welcome, but this counts as a Communications Coordinators meeting and all CCs are expected to be there. Our final two Communications Coordinators meeting will be held March 14, 2019 and May 15, 2019. All information, including links to sign up through MLP, can be found on the LibGuides Home Page. Overdrive is rolling out their new educational platform, SORA! In order for that to happen, we will no longer be using EZ Proxy for access authentication. We have sent our non-OPALS schools information for Google authentication; our OPALS schools can be authenticated through the catalog or change to Google authentication. We will work with your techs to get this done. Last Spring we added more titles to Rosen and Gale GVRL. Please use our libraryservices@wswheboces.org for general questions and information. You can email an individual if it’s specific to that person, but we recommend Library Services so that any of us can see and respond. For our Follett Destiny schools, Overdrive will work with you for authentication for students and teachers. If there is something else you need, please let us know. We continue to get ILLs for you through CDLC and World Cat. Please write us at libraryservices@wswheboces.org for any requests you have. You can find the courier schedule on our LibGuides Home page. PLEASE check email and OPALS frequently for requests; if you are unable to send, please let the requestor know. ILL works best when EVERYONE participates! (That, and our SLS funding depends specifically on that piece). The best way to contact us by email is at our libraryservices@wswheboces.org address. If you have a specific issue or something personal, email us individually. But we check the libraryservices frequently, and have a system of assigning and following up through that. We are continuing the NYLA membership and NYLA-SSL Roundtable this year. SLS will pay Communications Coordinators and Council memberships in full for any who want it as our way of saying “thank you” for serving us and your districts. Due to the amount of work that has been done, and will continue to be done, only SLS personnel will have access to load, create or edit certain fields in your MARC records. We will be offering trainings throughout the year to include beginning, refresher and updates. As well, we are happy to come to you to train or help in any way we can. We will be sponsoring another regional SLS Tech Retreat at Carey Conference Center in Rensselaerville April 5 - 7, 2019. Cost to participants will be $150 - $200, depending on costs to us. We are planning to sponsor a bus to TBF in Rochester on Saturday May 18, 2019. We’ll put out an interest survey soon in order to reserve a bus. You can get more information on the TeenBookFest website. This is the original Word document from the start of the 2018-19 school year to download if you need it again.